When Jay McCaulay, who specialises in tracing missing persons, wakes drugged in a strange hotel room, she knows things can only get worse. She isn’t in the UK. She’s in Moscow, and she has no idea how she got there. Memory shot to pieces, Jay returns home to find her beloved uncle Duncan missing. Apparently, she’d been searching for Duncan when she was kidnapped, and when Nikolai, an old friend of Duncan’s, turns up asking questions, alarm bells start ringing. For Nikolai Koslov is one of the UK’s resident Russian oligarchs . . . Soon Jay is entangled in a web of lies and betrayals that stretches from Newbury Race Course to Siberia. 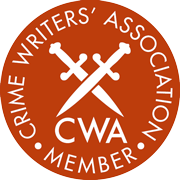 But, as the body count rises, it’s clear that Jay’s biggest threat may be Duncan himself – an honourable family man who seems determined to destroy himself and all he holds dear. CJ was talking to an RAF officer about the Eastern Bloc, who relayed a story when, during a visit to Russia, he lost a day of his life. He was convinced he’d been drugged but had no proof. This immediately made CJ wonder how terrifying it would be to awake somewhere foreign, without knowing how you got there. Who would you call? What if you had no money? What if for some reason you couldn’t go to the British Embassy? What would you do? 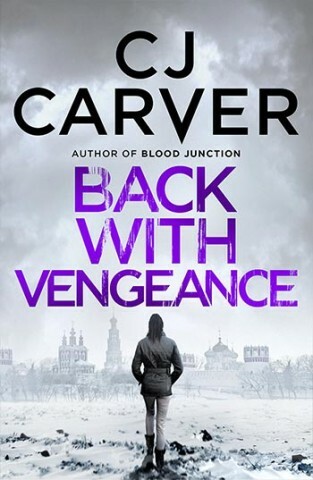 This became the opening chapter for Back With Vengeance, where Jay McCaulay awakens in a hotel room in Moscow and has no idea how she got there. Jay McCaulay’s consciousness crawled awake. Her head was thick and her mouth tasted sour. Nausea rolled through her belly. She cracked open an eye to see she was lying on a hotel bed, fully dressed. The curtains were drawn. Where was she? She couldn’t remember this room. She couldn’t remember booking into a hotel, but her tote bag was on the suitcase rack at the bottom of her bed. She rolled her head to check the bedside table. She could see her passport, along with a hotel room key, a paperback, a tube of lip balms and her old army-issue watch. Everything appeared normal, aside from the fact she hadn’t got undressed before she’d fallen asleep. Daylight seeped through a crack in the curtains making her wonder what time it was. She took in the fact she was incredibly thirsty. Her mouth felt as though it had been packed with sand and her head had started to ache. Why couldn’t she remember what hotel she was in? There had to be a logical explanation, like she’d had a reunion with her old regiment and drunk too much, or maybe someone had spiked her drink. It wouldn’t be the first time. Not only had she appeared to have lost half her brain cells but she also didn’t think she’d ever felt so dreadful. She struggled to get up, and the nausea rushed over her like a tidal wave. She only just made it to the bathroom in time, but barely brought up anything. Just a thin, mean trickle of saliva, but she couldn’t stop retching. After a while the sensation passed, and she sank on to the bathroom floor and wiped her mouth. Sweat prickled her forehead. Her hands were trembling, her skin cold. She hadn’t felt so bone-marrow ill since she was eight and had contracted chicken pox. Her parents had taken one look at her weeping outside their bedroom and had taken her into their bed to comfort her. The memory gave her a little strength and she got to her feet. She poured a glass of water, drank it, then poured another and drank that as well. She glanced at the toiletries in the little basket by the vanity mirror. She looked again, skin crawling. She picked up the miniature bottle of shampoo and stared at the letters. They were Cyrillic. In a rush she crossed the hotel room and flung the curtains wide. For a moment, her mind went blank; it couldn’t process what it was seeing. Faceless, grey blocks stretched as far as her eye could see. There were wide grey roads with six lanes of rushing traffic and, just below, a quiet acre of park. She could see the Kafe Biskvit and the Smolenskaya Metro, and beyond that was a broad, grey river flowing in front of the Kremlin. And she had no idea how she’d got there. Buy Back with Vengeance at a local bookshop through localbookshops.co.uk.